Diane is a natural intuitive and a light-worker, who has attained master teacher level in many diverse energy healing methods including Usui and Karuna Reiki, Seichim, Light Energy Work and Magnified Healing. 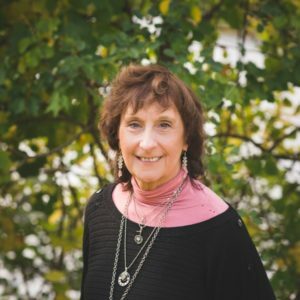 Diane has been practicing these techniques for over 20 years, utilizing advanced methods of Pranic Healing, Crystal Therapy Lightwork, EFT, and other energy healing teachniques in a variety of healing environs. She was a primary classroom teacher for 30+ years with advanced studies in psychology and spirituality. As an artist/soul painter, she paints portraits that include visons and cues of past lives. Diane is very commonly heard saying how grateful she is for the many wondrous and healing gifts she has been given and for the opportunity to share it within her community.